March is just around the corner, and we’re ignoring the recent sub-zero temperatures, and looking forward to Spring. There’s no better excuse to have a good Spring clean and maybe, just maybe, treat yourself to some new dining furniture! 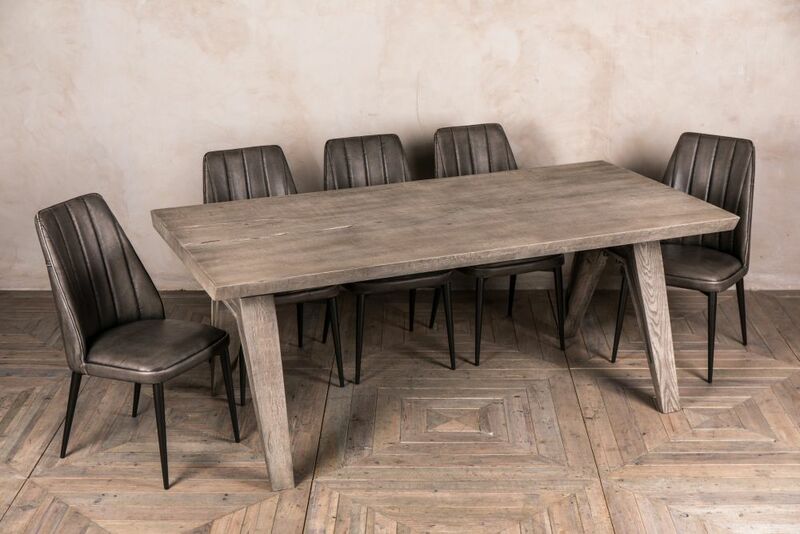 Whether you’re looking for industrial, Scandi, rustic, vintage style, or velvet furniture, we have something for you. 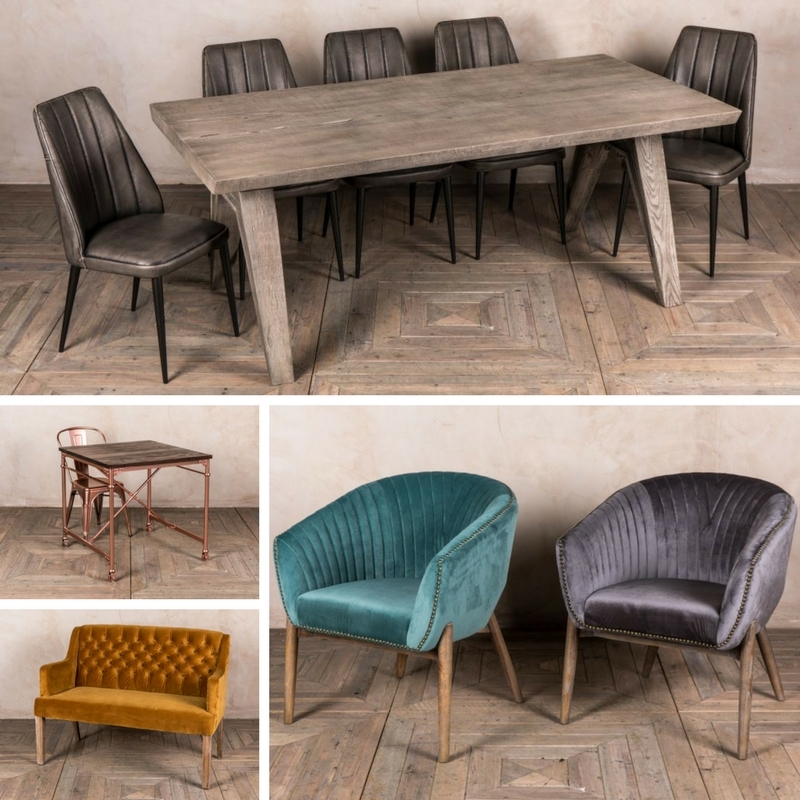 We’ve got a whole new range of stunning furniture to add to our already awesome collection. Our new tables include the ‘Wilkins’ and the ‘Miller’. Both are full of rustic charm, perfect for farmhouse kitchens, country style pubs, and restaurants. The ‘Wilkins’ even has a secret industrial twist, with large threaded bolts attaching the table top to the frame. If you’re after something a little more minimalist, why not go for our range of pipework tables. 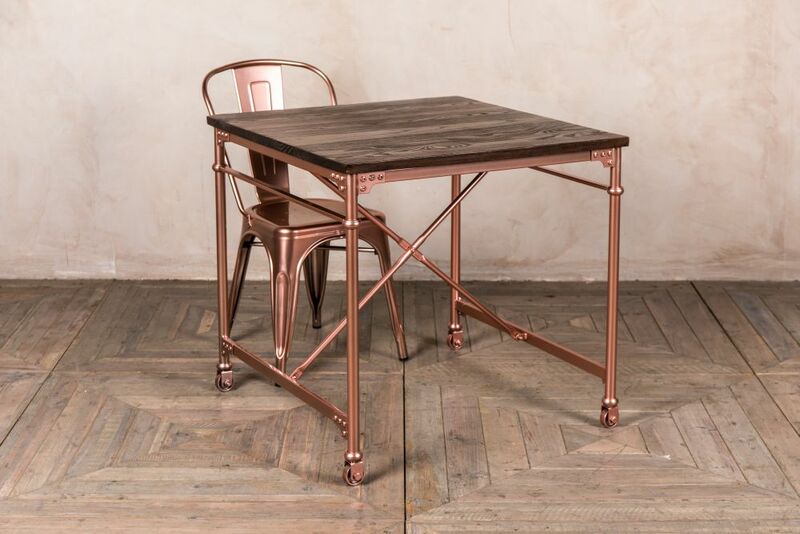 We stock a grey pipework table in various sizes and, for those wishing to add some shine to their interior, we have the bright copper version. 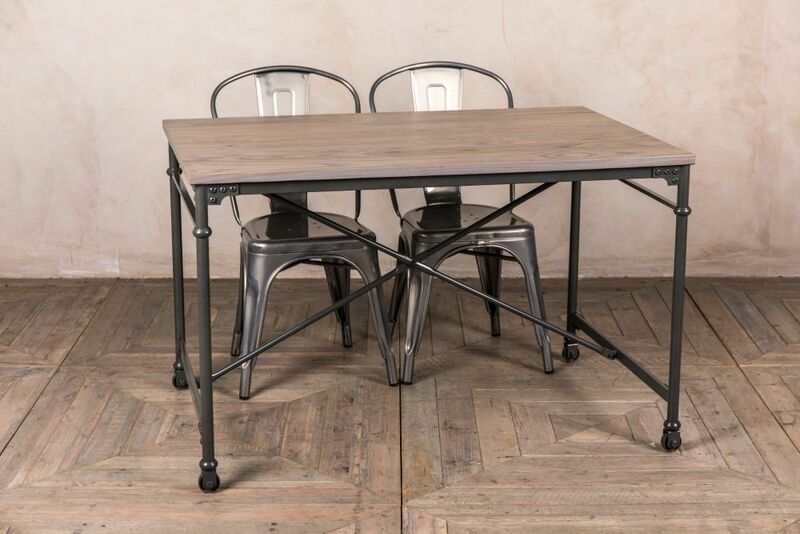 Our pipework tables look great with ‘Tolix’ style chairs! 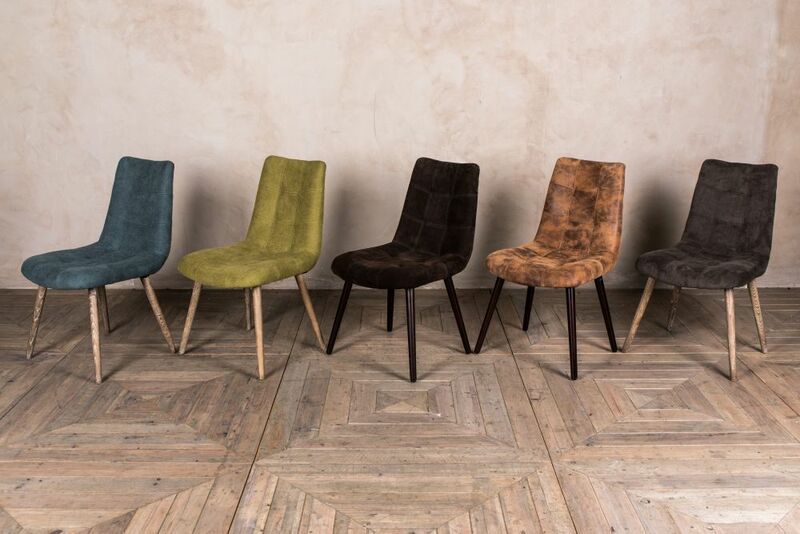 Velvet is all the rage right now, and we have some wonderfully sumptuous seats to sink into. Bright jewel tones are our favourite way to add a pop of colour to your interior. 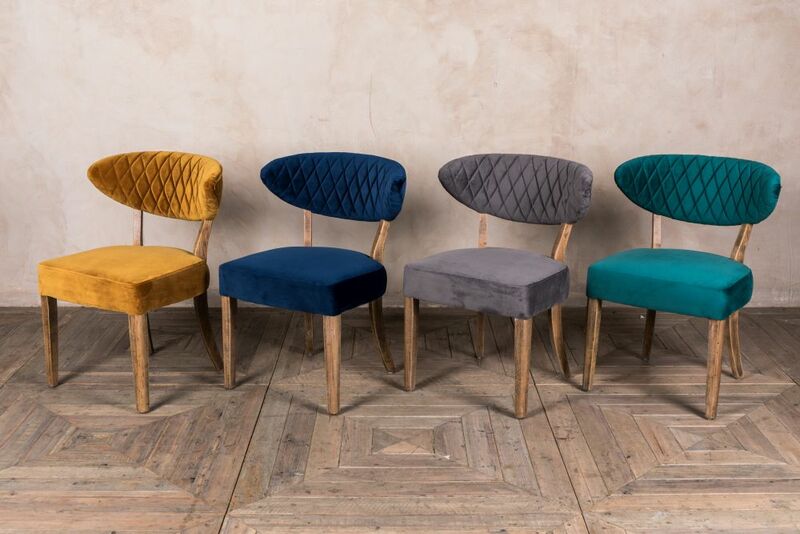 Our ‘Orleans’ chairs come in mustard, navy, teal, and grey; their curvy design makes them ideal for retro inspired spaces. 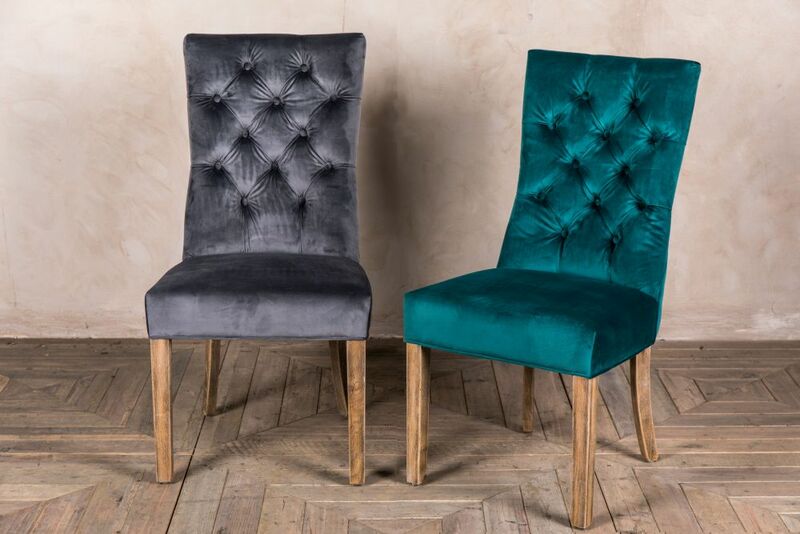 If you prefer a more traditional dining chair shape, our ‘Brittany’ chairs also come in soft velvet upholstery. They have French style pressed button backrests and come in gorgeous sea blue and silver grey. 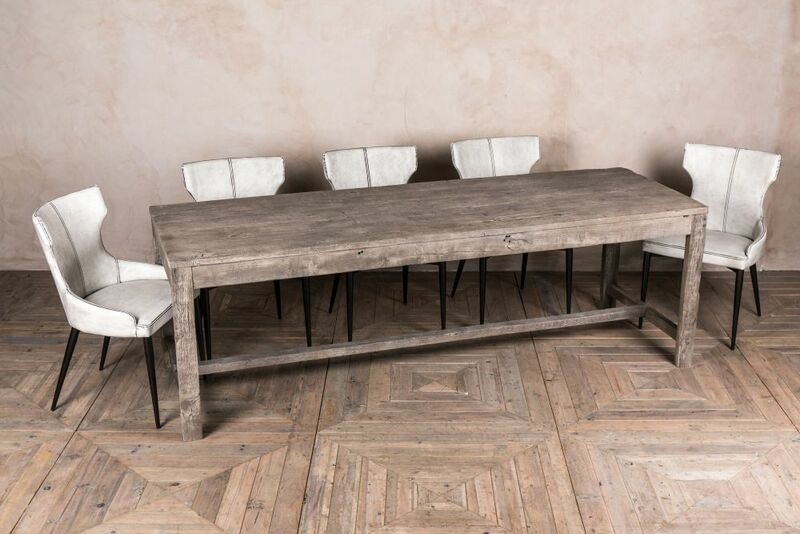 As an alternative to dining chairs, why not consider a dining bench? 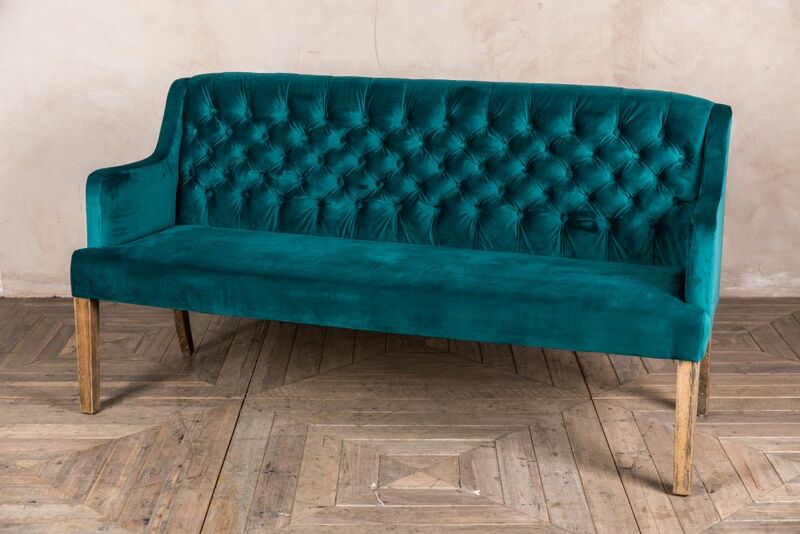 Our pressed button ‘Marseille’ sofa is a truly glamorous piece and is available in mustard or blue velvet. We even have a quilted velvet loveseat that is so silky soft we can guarantee that you won’t be able to stop stroking it. 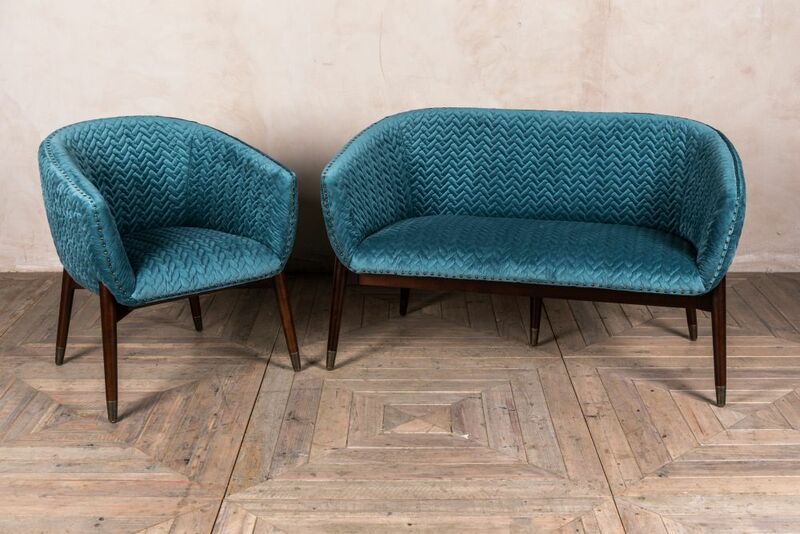 The ‘Bavaria’ loveseat comes in mink and teal, and matching tub chairs are available! Speaking of tub chairs… as well as the ‘Bavaria’ tub chairs, we have the ‘Granville’ chair, with delicate ribbed stitching and silver studded edging. 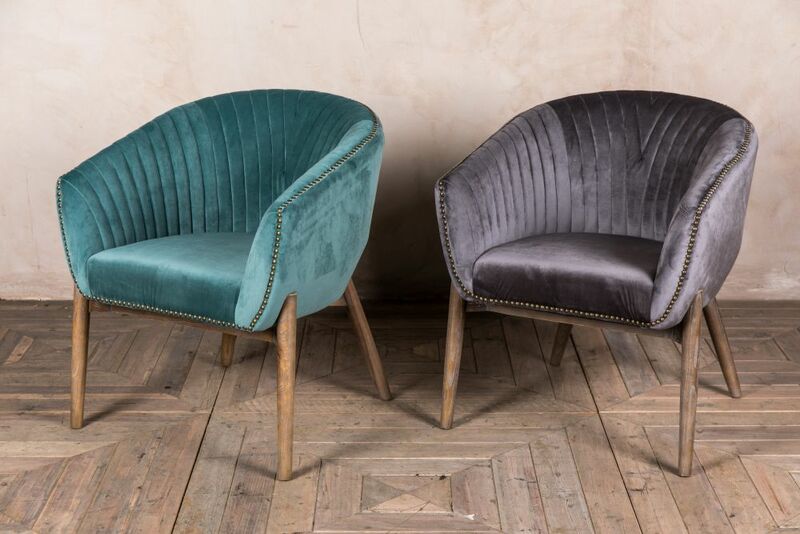 Its velvet upholstery comes in smoked pearl and teal. Tub chairs can be used as dining chairs, but are also perfect seating for coffee shops, bar areas and even as feature chairs in homes. 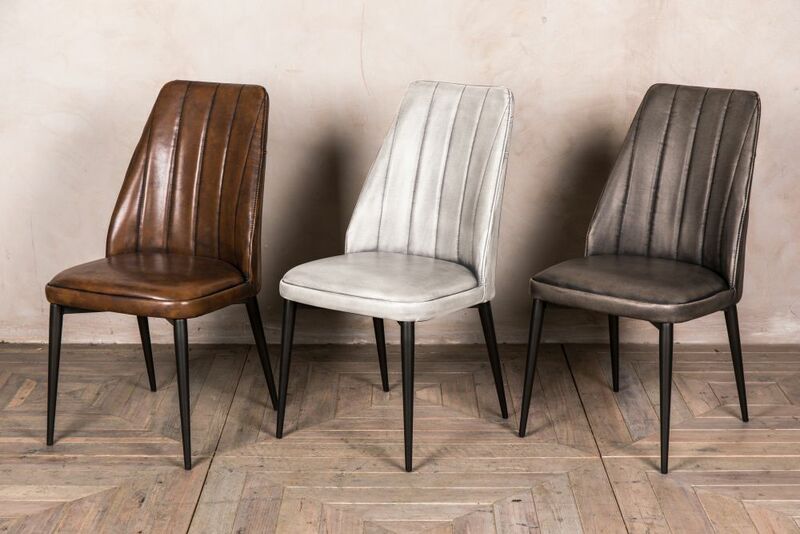 If Scandinavian styling is your thing, our ‘Metz’ chair is for you. The minimalist splayed legs and understated upholstery is ideal for making your home more hygge. The ‘Metz’ come in a linen version, available in lime green, petrol blue and charcoal, and a leather version available in tan and chocolate. 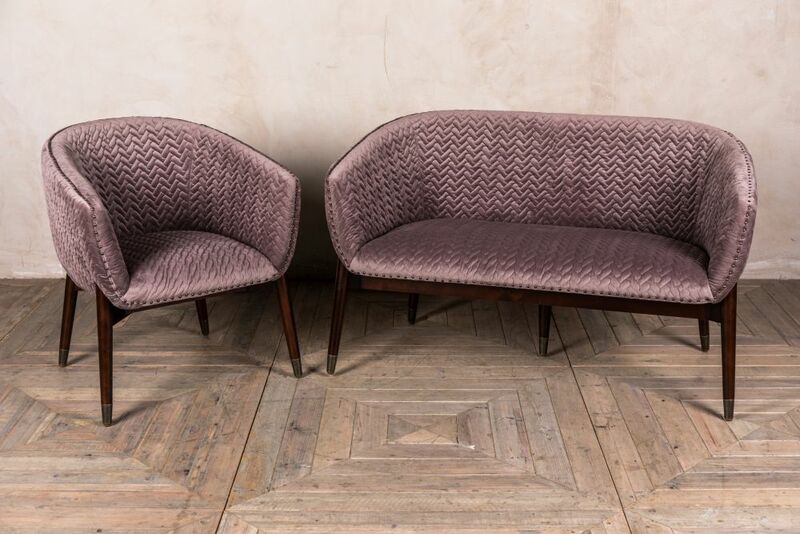 If you love the Scandi trend and want to incorporate it into your vintage style interior, then the ‘Nelson’ and ‘Admiral’ are great ways to do this! 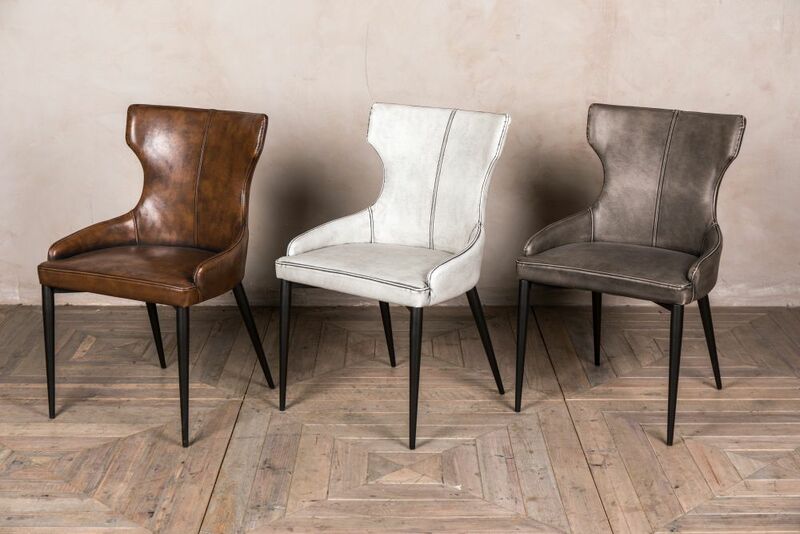 They are available in brown, white and grey, and feature minimalist Scandi-style legs. 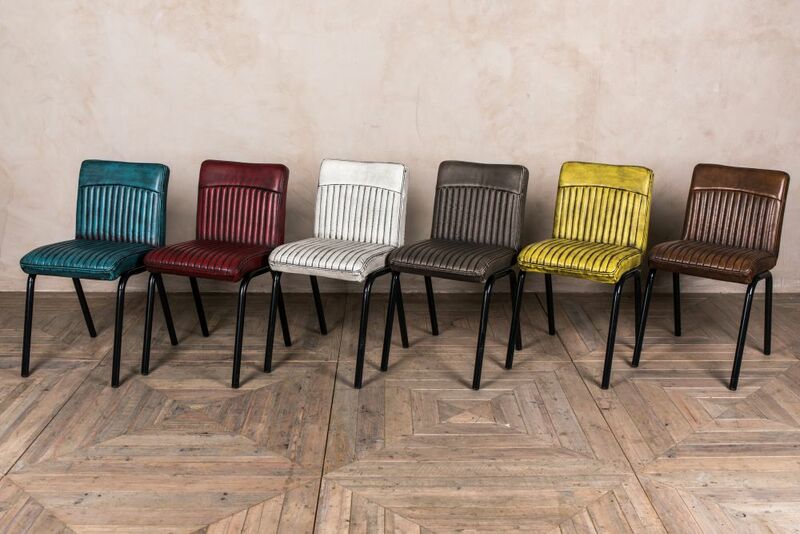 For industrial interiors, our ‘Hammerwich’ and ‘Mini Goodwood’ chairs are bright and bold. Their colourful upholstery makes them great for pubs, restaurants, and families! 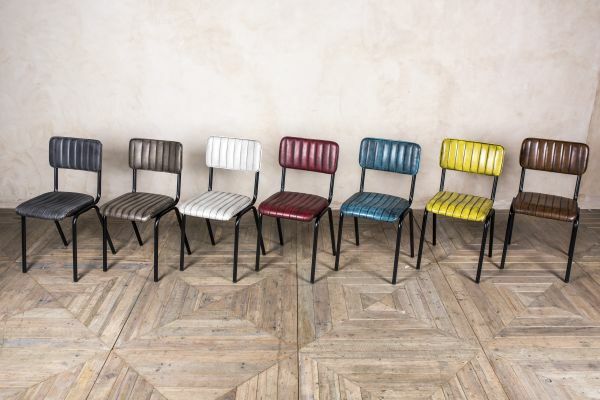 They feature a distressed finish that fits seamlessly in industrial spaces and come in a variety of colours. Matching bar stools are available.